Last Sunday's parliamentary elections failed to resolve Bulgaria's bitter political impasse. Worse, there is now a palpable sense of confusion and disappointment among those who opposed the centre-right government of prime minister Boiko Borisov, as the poll returned his party to a position of primacy, albeit short of absolute majority. This is no mean feat for a party that was pushed out of power three months ago by fervent street protests and a series of self-immolations. Aside from Borisov's Citizens for the European Development of Bulgaria (Gerb) party, the other big winners are the Bulgarian Socialist party, the Movement for Rights and Freedoms (MRF) of the ethnic Turks and the nationalist and xenophobic Ataka. The main losers are the traditional right – ever-fractious and finally fractured into insignificance, the newly minted Greens and various remnants of King Simeon's previously all-conquering NDSV, a liberal formation that won the 2001 parliamentary vote in a landslide. Notable standouts among the losers are the former prime minister Ivan Kostov's Democrats for a Strong Bulgaria and the Bulgaria of the Citizens of Meglena Kuneva (this country's first European commissioner). Both Kostov and Kuneva tendered their resignations in the wake of electoral defeat and implored their supporters, mainly drawn from the urban middle-class, to work towards a fresh start. In all, 24% of the votes went to parties that failed to make it into parliament, and this at a fairly low general turnout of about 50%. The elections will likely result in a hung parliament, as the winners couldn't be further apart. Quite how a much-maligned ethnic minority party, supported in large measure by ethnic Turks residing in neigbouring Turkey, is supposed to co-operate with extreme nationalists and xenophobes is beyond most people's grasp. Likewise, socialists and racists are strange bedfellows, though given the level of hostility towards Borisov's Gerb, an impossible coalition of socialists, Turks and nationalists may be in the offing. In the world of unprincipled Bulgarian politics though, such contortions are the rule rather than the exception. It was not long ago that the aforementioned Simeon II, a child monarch until Stalin allowed him to go into exile, led a coalition government with the heirs of his tormentors, the Bulgarian Socialist party. The MRF ensured that the trick was pulled off, as they had on a number of previous occasions. Acting as "honest" powerbrokers, the MRF aligned themselves first with the left, second with the right and preserved the status quo throughout the post-communist era. The transition was a time marked by never-ending crises, extreme corruption, oligarchic rule and, with the exception of a brief period of growth and relatively better wealth distribution in the late 1990s and early-to-mid 2000s, rampant poverty. It was precisely against the status quo that Gerb rallied, and made the Bulgarian Socialist party and the MRF the target of their vituperations. Instead of confronting corruption and inefficiency and promoting reform and better business practices, Gerb lapsed into authoritarianism, populism and created competing oligarchic networks of its own. 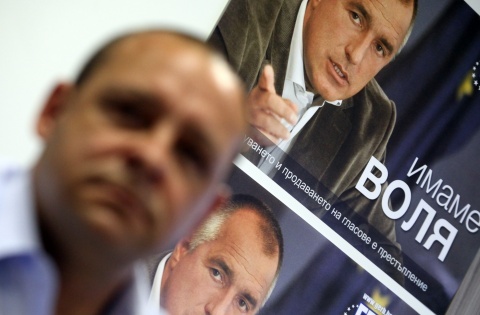 When taken together with its emphasis on fiscal austerity and the effects of the world economic crisis, Borisov's time in office resulted in even greater impoverishment of Bulgarians and further disillusionment with politics in general. Instead of breaking the status quo, Gerb became it. Some have gone so far as to say that all four major parties are in fact the tentacles of the old and powerful Bulgarian Communist party – a fanciful claim when put like this but not without some basis in reality, as politics in Bulgaria is enmeshed with all sorts of dependencies on old networks of power and influence, some going back to perestroika and the attempt of Communist party elites to preserve their power by transforming it into economic clout. Post-communism, of course, bred its own monsters too, but the net result is one of political apathy and impotence. In the final analysis, Bulgarian politics is inherently unstable because there is a lack of correspondence between political interests and political representation. The socialists act as neoliberals, the centre-right does not shy away from populism and authoritarianism, the nationalists will sell themselves to the highest bidder and the traditional right has been an unmitigated disaster, unable to hold down any form of workable unity for the past 10 years. A silent and growing legion of non-voters looks on in disgust whereas those tempted to the polls are bound to be disappointed eventually. The winners are precisely those whom everyone wants out – the oligarchs, the corrupt government officials, the powerbrokers and puppet masters. For ordinary Bulgarians, the struggle goes on amid the mimicry.